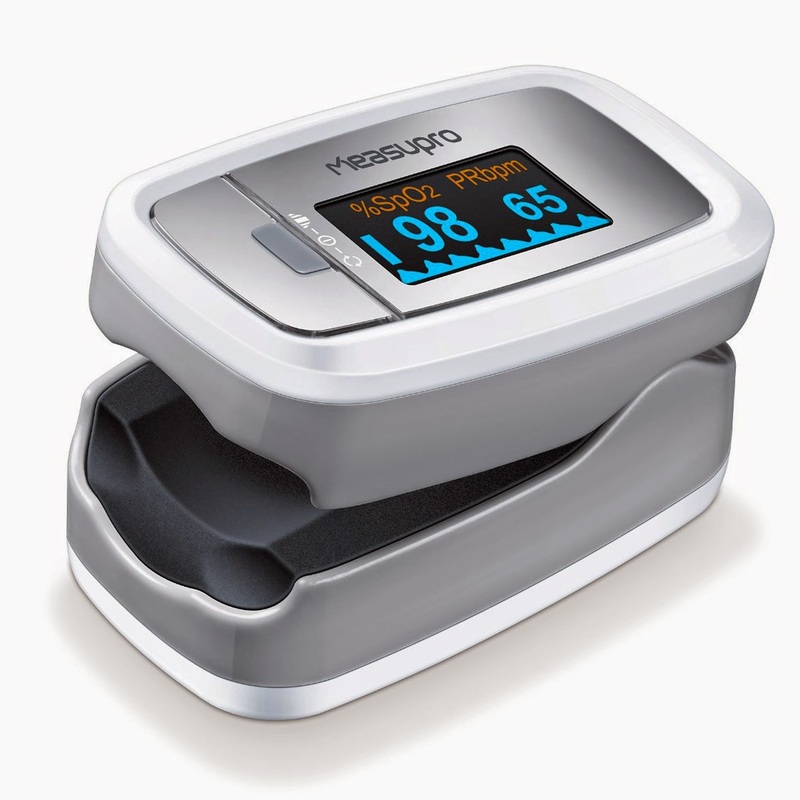 We just recently got one of these MeasuPro OX100 Instant Read Pulse Oximeters. I really wanted to round out my first aid kit (a large case) and add one of these and also a blood pressure cuff. So, I finally got one. In the past I have had somewhat low oxygen levels, around 91/92 and so I have been taking OxyFlush, OxyLift and OxyEarth. Today when I tested this oximeter, I was at 98%! Yay. But my pulse was high at 84. My husband had an oxygen level of 92, so I am going to try to get him to take some of the oxygen products. But his pulse was nice at 62. Battery operated -- the batteries are included. I LOVE it when batteries are included. I recommend this for every household's first aid kit.